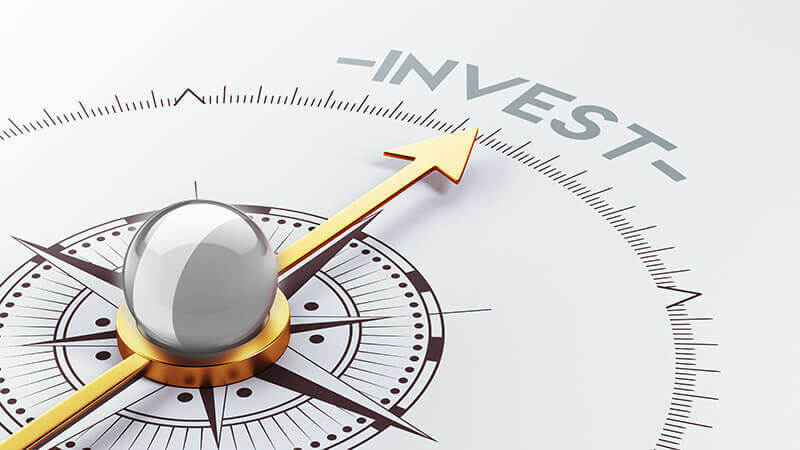 Investing in Mutual Funds (MFs) is fast gaining momentum in India, thanks to widespread advertising by banks, Non-Banking Financial Companies (NBFCs) and Asset Management Companies (AMCs) among others. Further, you can begin investing in MFs with as low as Rs.500 and withdraw the cash and its returns, whenever required. Before investing in MFs, here are some basics you should know. Mutual Funds, as the name suggests, is an investment you make jointly with others through a bank or NBFC. The money collected by the financial institution from all investors is used to buy various financial assets such as stocks of companies, debts, government bonds and provide money to infrastructural projects. The word ‘Mutual’ is used because it involves you and other investors to ‘Fund’ the purchase or investment. Banks and NBFCs create mutual funds by investing large amounts of money in shares, stock exchange, debts and other financial assets. Later, they invite people to take share in this collective investment. Buying or subscribing to an MF means you are investing inset of shares of different companies or other financial assets. In India, there are eight different types of MFs in India provided by many different Mutual Fund companies where you can do a Long Term Investment. We briefly discuss some of them. Here, the bank or NBFC invests your money and that of other investors in buying shares of different companies. This is considered a high-risk investment, though returns are high. Debt Funds are something where banks and NBFCs invest your money into government bonds, debentures of various companies and other safe instruments. Returns are lower but the risk is also very low. Your money is invested by the MF provider into the money market such as certificates of deposits and other very safe instruments. Returns are moderate while risks are fairly low. Banks and NBFCs invest your money in different things like equity, debt and money market, among others. This is a moderate risk fund but assures you long-term returns. Sector funds are those where your money gets invested in various infrastructural and development projects that have a high return, such as airports, ports, highways and power stations, among others. Risks and returns vary according to the sector. Index Based Funds depend upon the stock trade at Bombay Stock Exchange and National Stock Exchange and the average index of the two. It is linked to equities and share movements. This is a high-risk fund that depends on stock market movements. These MFs are floated by banks and NBFCs to offer tax savings to individuals under Section 80C of Income Tax Act of India. Your money is invested in equities or shares. This is a high-risk investment that can either offer high returns or crash, depending upon the stock market movement. As the name implies, Fund of Funds are investments made by banks and NBFCs in other MFs. These are also moderate risk MFs and but you can get fairly reasonable returns by investing in this type of MFs. Net Asset Value (NAV) is the value of your Mutual Fund. For example, consider you have invested Rs.500 in an equity fund. Your money has been utilized by the MF provider to buy a group of shares on the stock market. If the value of all shares rise or fall or some increase while others decline, the NAV of your Mutual Fund will be calculated upon the value of shares that make this MF. NAV is the collective value of these shares on that particular day or during a fixed period such as a month or quarter or fiscal year. Before investing in MFs, it is advisable to read long-term NAV rather than focus on reports of the last two or three months. Generally, MFs that show a steady increase, despite occasional drops, are considered safer. You can make a portfolio of MFs by investing in low, moderate and high-risk funds. It is important to remember that high-risk funds do not mean you lose your money. Instead, your NAV may decline for some time but can pick up later, when the stock markets boom again. By creating a balanced portfolio, you are assured of a decent return on investments. Never view MFs as a short-term investment option. Because MFs will never help you build wealth within a very short period of time. You need to give sufficient time for MFs to mature and give you the desired returns since their performance is directly linked to various things such as political scenarios, economic conditions, scams and frauds, position in foreign stock exchanges and money markets, among others. There are two types of MFs generally available in India. These are Closed Funds and Open-Ended Funds. Closed Funds: You can subscribe to a Closed MF only during a period it is on offer. A Closed Fund means your money remains locked in for a fixed period such as five years or more. You cannot withdraw your money from a Closed MF at will. It can be withdrawn only after its maturity. Open Ended Fund: You can buy an Open Ended Fund anytime. Here, you have the option of selling your MF anytime and get the invested money plus any returns that it has earned. These are ideal for people who are prone to require money instantly for a purpose. Before investing in Mutual Funds, it is best to consult a financial expert or advisor of your bank. Should you be well versed in workings of MF, you can read all prospectus and related financial results to know how much you may earn or lose. As every Mutual Funds provider warns, they are subject to every market risk. Hence, ensure that you get sound advice from a financial expert before making any investments. Reading reviews of MFs that are published by leading financial newspapers are also a great way of knowing where to invest your money. How Can Loans Empower Women in the Business World?